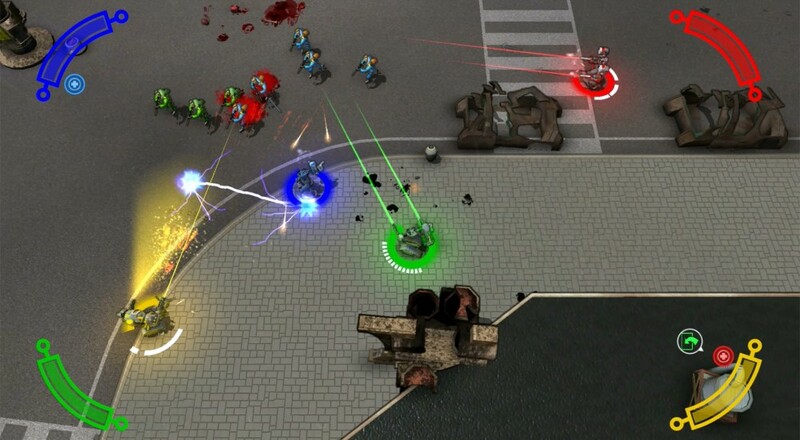 Rusto Games is bringing their top-down robot shooter, Spareware, to a PC near you. The title was released for the Xbox One this past March and the Finnish developer has been working to port it over to Windows, OS X, and Linux platforms. The PC version will be out this fall, with the OS X and Linux versions to follow. The title will support four players locally throughout the main campaign with each player being able to customize their little robot of death and mayhem. There's an update planned, as well, that will add a new campaign (set in future Las Vegas) to enjoy with your friends, new weapons, new minibosses, and a melee combat system. No word on when that update will drop, but it will be available on the Xbox One and PC when it does arrive. Spareware is currently available for the Xbox One via the Xbox Store for $9.99. Page created in 0.9456 seconds.